Mahindra & Mahindra (M&M) Friday said the FAME II scheme has removed policy uncertainty in the electric vehicles (EV) segment, a move that would encourage more manufacturers to launch environment friendly vehicles in the country. The Mumbai-based company, which is at the forefront of electric vehicle (EV) segment in the country, said the scheme puts electric vehicles in the fast lane. 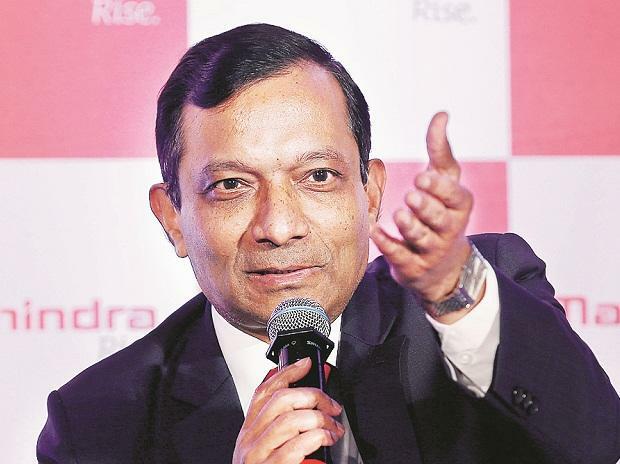 "With this initiative (FAME II scheme) which has been launched for three years, concerns regarding the long term policy in the segment have been settled," M&M Managing Director Pawan Goenka told PTI. Now, the industry is comfortable that for the next three years EV business will be supported, he added. "Therefore the OEMs (original equipment manufacturers) which are waiting and kind of watching will now probably come out and many more EVs could be launched in India," Goenka said. He added that the revised scheme is very clear on commercial use of EVs -- in shared mobility, buses, three wheelers and two wheelers for private use. "So this is a very good thrust, this is where maximum benefit will come in terms of reduction in pollution and crude oil imports," he added. The government has done its bit and now it is up to the industry to make EVs happen in the country, Goenka said. "The new outlay of Rs 10,000 crore over a period of three years provides a stable policy to promote green mobility in India," Goenka said. The scheme also addresses key issues including national energy security, mitigation of the adverse impact of vehicles on the environment and growth of domestic technology and manufacturing capabilities, he added. The company said it now requests local authorities to help facilitate plying of electric vehicles on Indian roads. The Union Cabinet on Thursday cleared a Rs 10,000-crore programme under the FAME-II scheme. The scheme will be implemented over a period of three years with effect from April 1, 2019. It is the expanded version of the present scheme FAME India I (Faster Adoption and Manufacturing of (Hybrid) and Electric Vehicles (FAME) which was launched on April 1, 2015, with a total outlay of Rs 895 crore. The main objective of the scheme is to encourage faster adoption of electric and hybrid vehicles by way of offering upfront incentive on purchase of electric vehicles and also by way of establishing necessary charging infrastructure for EV. The emphasis will be on electrification of public transport that includes shared transport, demand incentives on operational expenditure mode for electric buses will be delivered through state/city transport corporations (STUs). The scheme also proposes support for setting up of charging infrastructure whereby about 2,700 charging stations will be set up in metros, other million-plus cities, smart cities and cities of hilly states across India, the statement added.